Kyle Marx was suffocating in a hell created for him long ago. One he couldn’t seem to escape, and didn’t believe he should. A bent man, he looked for temporary reprieve any way he could get it. What Kyle had yet to realize was that merely surviving wasn’t good enough, and bending only gets you so far. Sometimes you have to break, so you can breathe. … it all started on Thursday Nights. 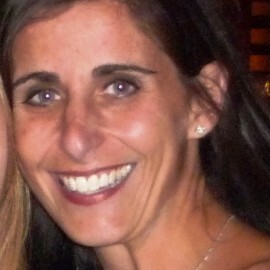 Lisa Paul is a wife, mother, daughter, sister, friend, reader, writer, blogger, and self-proclaimed comedian, just not always in that order. Ever since she was a little girl, she has devoured books. Falling in love with the Sweet Valley High series at a young age drew Lisa to series books and inspired her to write her own. 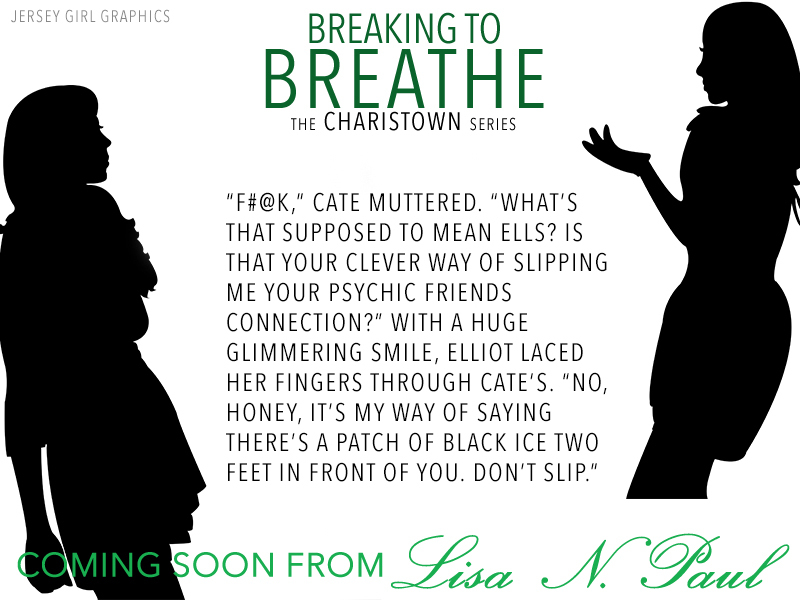 Breaking to Breathe is the third book in her Charistown series. 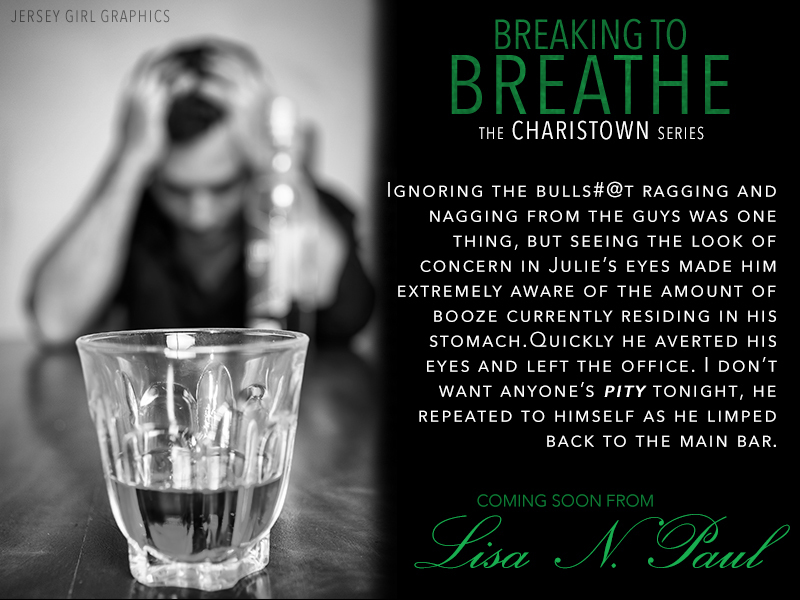 When not writing, Lisa can be found eating french fries and Godiva raspberry truffles, or hanging out with her husband and two sons.